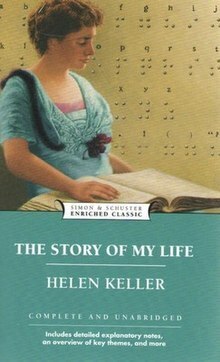 This article is about the autobiography of Helen Keller. For other books with similar titles, see The Story of My Life (disambiguation). Keller first began to write The Story of My Life in 1902, when she was still a student at Radcliffe College. It was first published in the Ladies Home Journal in the same year as a series of installments. The following year, it was published by Doubleday, Page & Co. as a book. The book was well received. ^ a b "Helen Keller—In Her Own Words". Retrieved September 19, 2014.